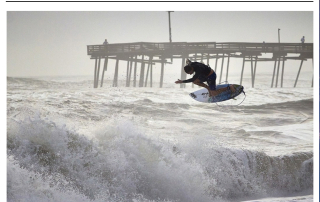 Ability ambassador Jeff Myers and photographer Anthony Leone lined up on a long overdue levitation shot September 30th, just in time for Six Magazine’s online photo feature “How It Went Down In Town On The Outer Banks”! For the full photo feature click here. Here’s why our board shorts are magic!